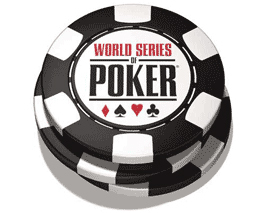 French players present in Las Vegas for the World Series Of Poker (WSOP) show a remarkable performance with the example of Fabien Marguerite who finished the Event #4 $1,500 NLH Six Handed at the 9th place for a gain of $ 20,709. The ascent of the French continues with that of Benjamin Pollack who is in the running, for a qualification at the final table of the $ 2,500 8-Game Mix, the Event #8 of these WSOP 2013. 388 players took the departure of this event and Benjamin Pollak occupies currently the 9th place in the chipcount with 133,000 chips with 19 remaining players at the end of Day 2. Marco Johnson is the chipleader at the beginning of the Day 3 with 354,300 chips but other reputable players are also in the race for the bracelet of this poker tournament like Greg Mueller and Robert Mizrachi. As a reminder, 8 events took place in the poker room of Rio All-Suite Hotel & Casino in Las Vegas, since Wednesday May 29. The first five are already finished while the $ 1,500 "Millionaire Maker" (Event #6) and the 1,000$ NLHE (Event #7) are in progress with the final table. Concerning the results of the first five Events of these WSOP, Chad Holloway won the $ 500 Casino Employees NLHE (Event #1) on a field of 898 players for a gain of $ 84,915. Trevor Pope pocketed $ 553,906 for his victory at the $ 5,000 NLHE 8-Handed (Event #2) which gathered 481 participants. Charles Sylvestre won the $ 1,000 NLHE (Event #3) listing 3,164 registered for a gain of $ 491,360. The $1,500 NLHE 6-Handed (Event #) gathered 1,069 participants and ended by the victory of John Beauprez, who was rewarded with $ 324,764 for his ability to play poker well during this event. And finally the Event #5, the $ 2,500 Omaha/Seven-Card Stud Hi-Low 8-or-Better was won by Mike Gorodinsky ($ 216.988) on a field of 374 players.